One of the biggest strengths of LetMeTalk is the possibility to transfer Profiles easily from one device to another. We expect that you already have the profiles stored on your PC. To transfer the files we are using iTunes on MacOS, but we expect that on Windows it works pretty much the same! Please look at the first screenshot: Open iTunes and connect your iPhone / iPad with your Computer. At (1) should select your device. 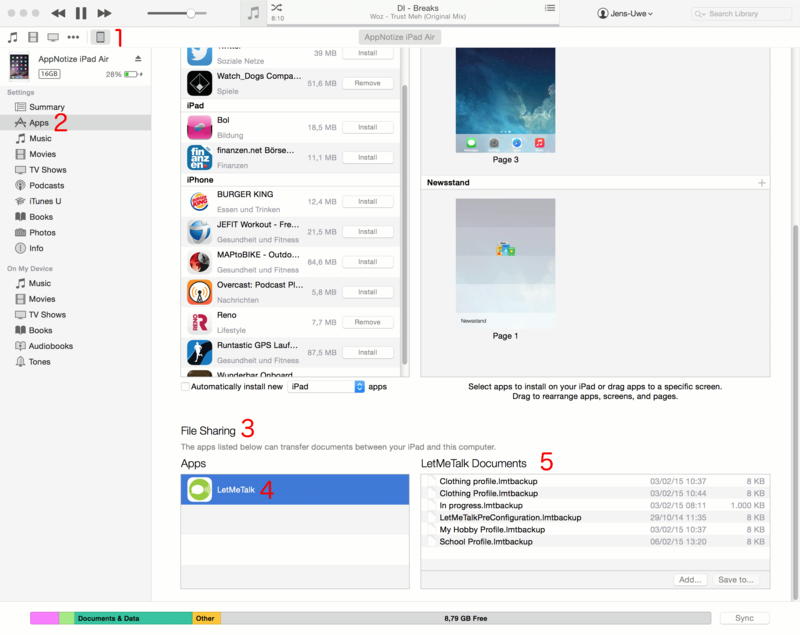 At (2) choose "Apps" and scroll, until the "File Sharing" option appears at (3). Now select "LetMeTalk" at (4) and in "LetMeTalk Documents" (5) should now appear a list of the Profiles you already have on your device. 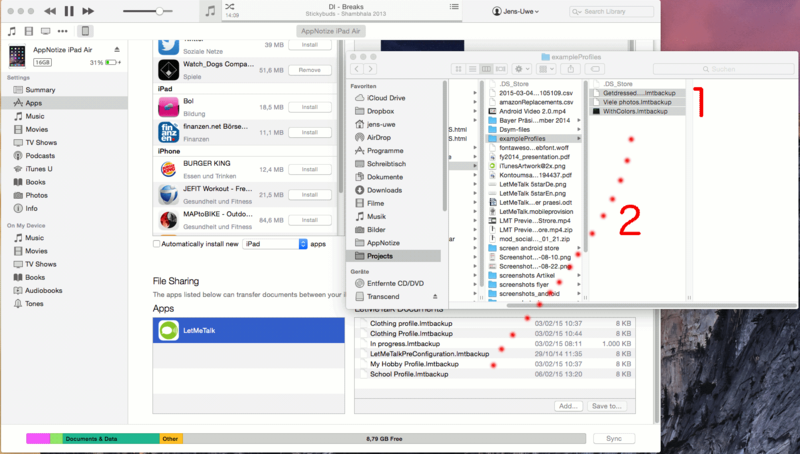 Now please change to the second screenshot: Open the folder with your profiles in a filemanage like "Finder" or the "Windows Explorer". Select the Profiles you want at (1). Now drag&drop the files to the other profiles in the field "LetMeTalk Documents"
The profiles should now appear the field "LetMeTalk Documents", as you can see on the third screenshot at (1). 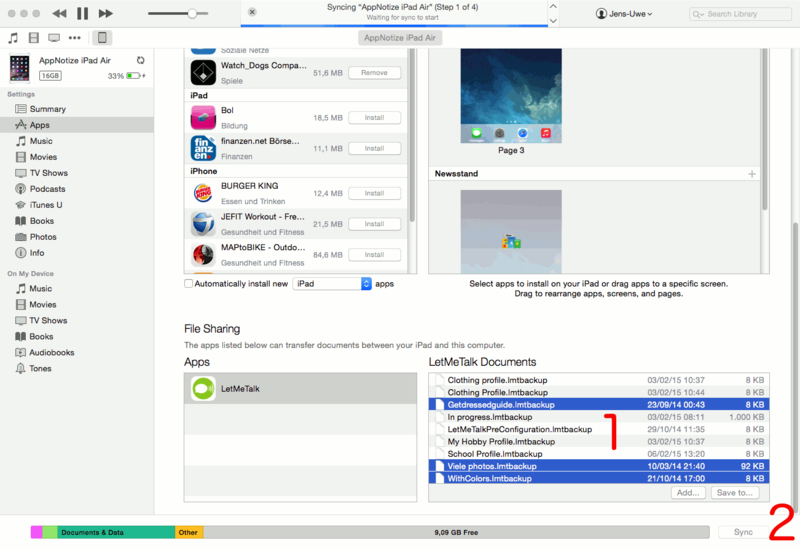 If that worked, click on the "Sync" button (2) and wait a while, until the files are uploaded to your iPhone or iPad. And that is it. If everything worked you should now be able to choose the profiles in the "Load Profiles" section in your LetMeTalk Settings, as visible on the 4th screenshot. Hello, Does It work with an IPOD? Thanks! I really like this apps! 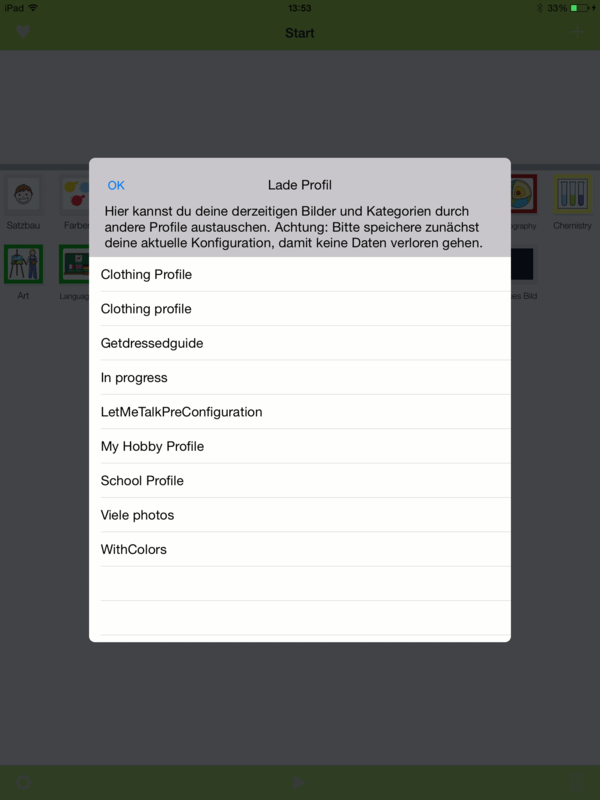 Thanks for the tutorial, but I can't find the "Load Profiles" section on my iPad. I clicked on Sync and then I waited for a while, but how can I be sure that all my achieveessays files are uploaded? How to play geometry dash subzero? Players just need to use the arrow keys to move, run and jump. Your goal is to avoid hitting into traps of the tunnel.